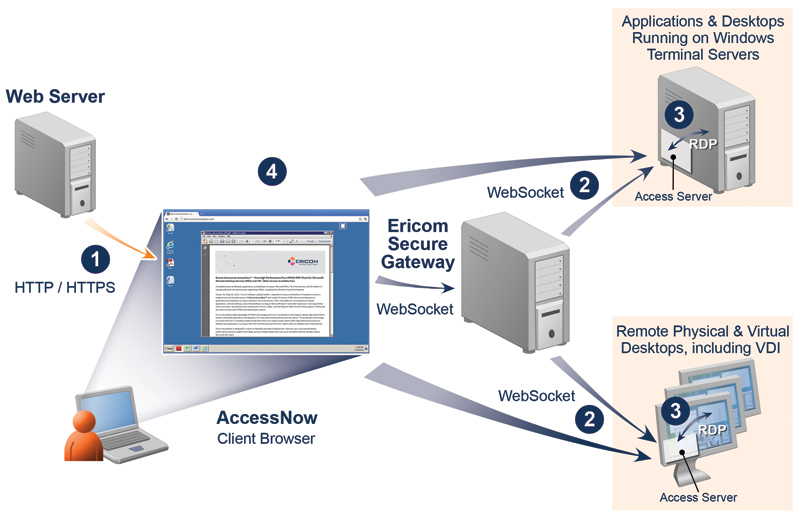 With Ericom AccessNow HTML5 RDP client, you can quickly and easily connect to your applications and virtual desktops from any device that has an HTML5 compatible web browser. 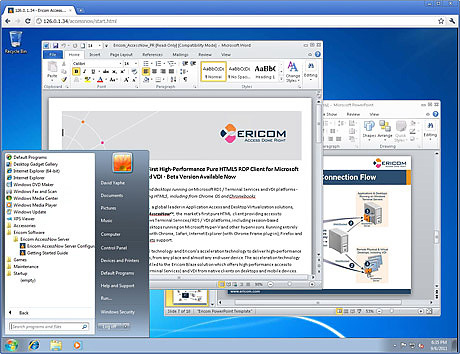 AccessNow is a remote desktop client written purely in HTML5. It's so simple! All you need is an HTML5 compatible web browser such as Google Chrome, Safari, Internet Explorer (with Chrome Frame plug-in), Firefox, and any other browser with HTML5 and WebSockets support, or a Chromebook. Client connects to Access Server using WebSockets – Access Server usually installed on RDP host itself.